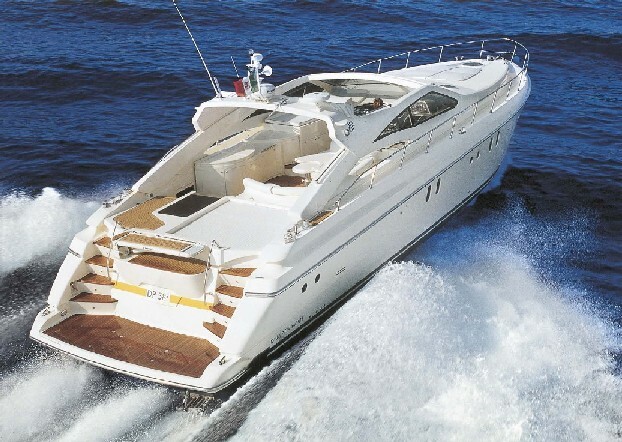 Casino Royale is a luxury DP 58 2007 model that is available for charter in the East and West Mediterranean. She was designed by Delta Lab studio and built by Dalla Pietà Yachts. Casino Royale offers utmost style and luxury. For the interior they have used plenty of wood and marine plywood and other sophisticated materials. The lounge saloon is spacious and comfortable and has a liquid crystal TV and a central stereo system. There is easy access to the living area down broad wooden stairs with shaped steps. 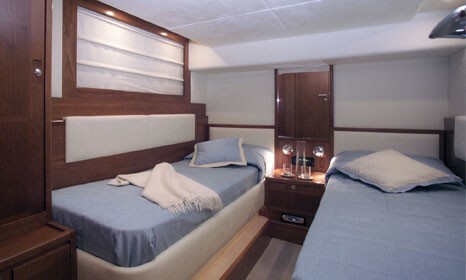 This luxury motor yacht can very comfortably sleep 6 guests in three cabins. The owner’s cabin is spacious and has a double bed and ensuite. It is superbly appointed with a large wardrobe, and direct access to the bathroom area. There are two more twin guest cabins plus separate crew cabins. The wooden furniture and precious linings are made entirely by Dalla Pieta craftsmen. Each cabin has its own ensuite with a separate shower and TV. 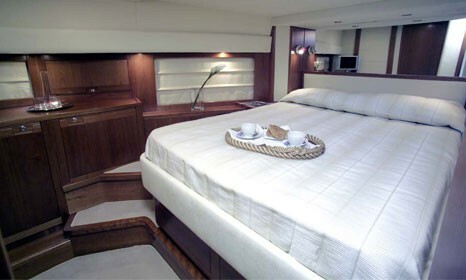 The decks on board Casino Royale also offer luxury and space. 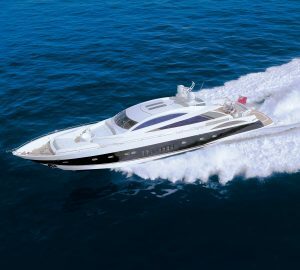 There are sunbathing areas forward and astern, and there is an external open lounge with a bar area and fridge and grill, as well as a dinette for dining out. The closed cockpit is equipped with air-conditioning and heating, and side openings enable it to be easily converted into a lovely terrace on the sea. 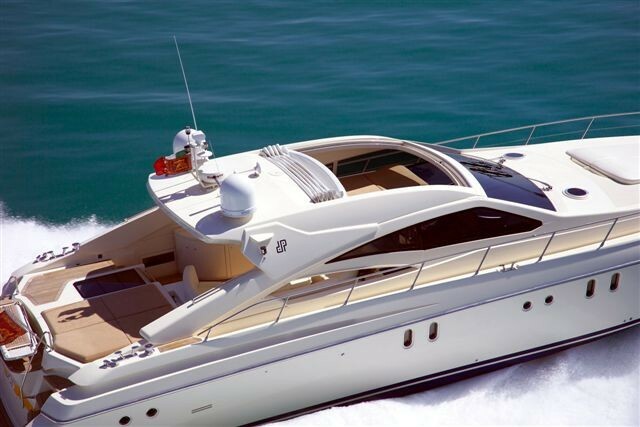 CasinoRoyale is equipped with air-conditioning and heating throughout the yacht. There is a TV, DVD and Sky in the saloon and all cabins. 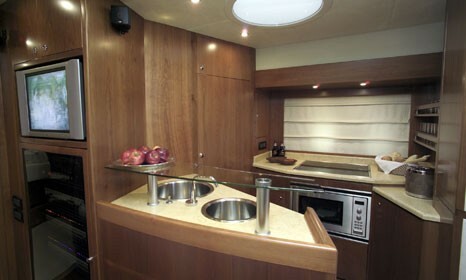 Onboard there is also a water maker, washing machine, dryer, dishwasher and complete galley. There are three cabins on board Casino Royale. The owner's cabin is a double cabin with its own ensuite, and large wardrobe. The other two cabins are twin cabins, also with their own ensuites. Each cabin has TV, DVD and Sky, and they are fully air-conditioned. 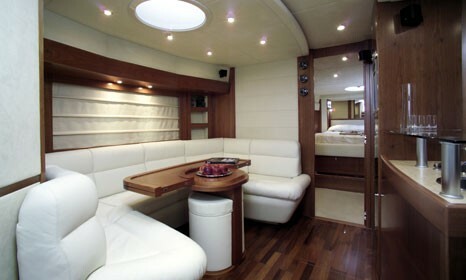 TV LCD, stereo, DVD and Sky in saloon and in all cabins. Tender with 15 hp outboard engine, air-conditioning, washing machine and dryer, dishwasher, watermaker.